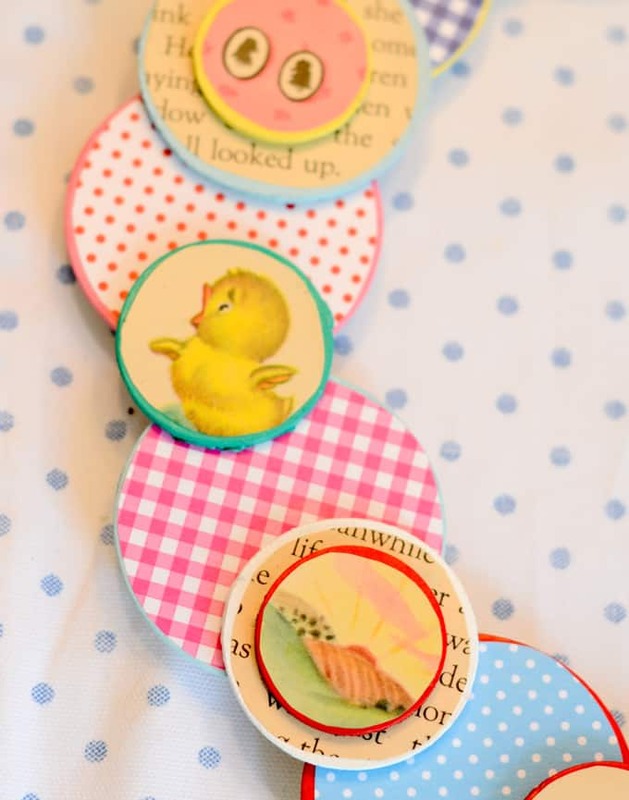 Make a simple book page wreath for your craft room door using wood circles, and an embroidery hoop. Very fun, colorful, and easy to do! Hi guys! 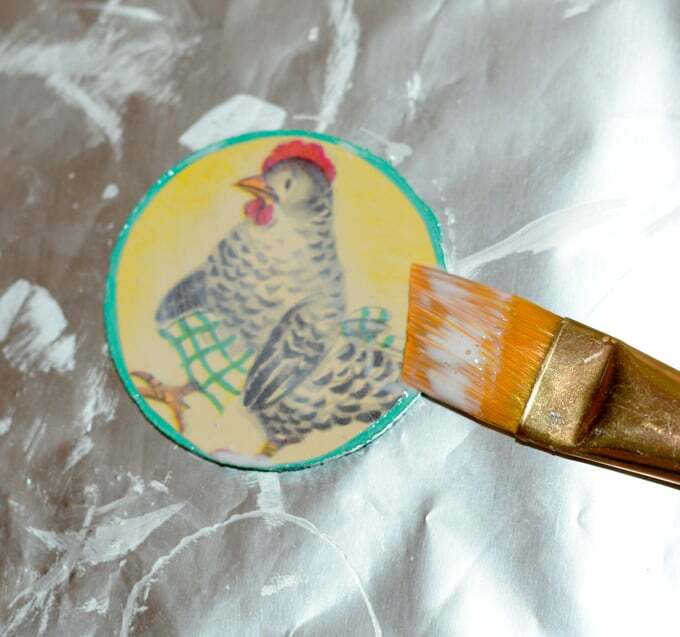 It's Ashlee from My So Called Crafty Life, and today I am back to share another fun Mod Podge DIY with you all! This particular project is one that I have been wanting to make for some time now. I am definitely a thrift store book hoarder. 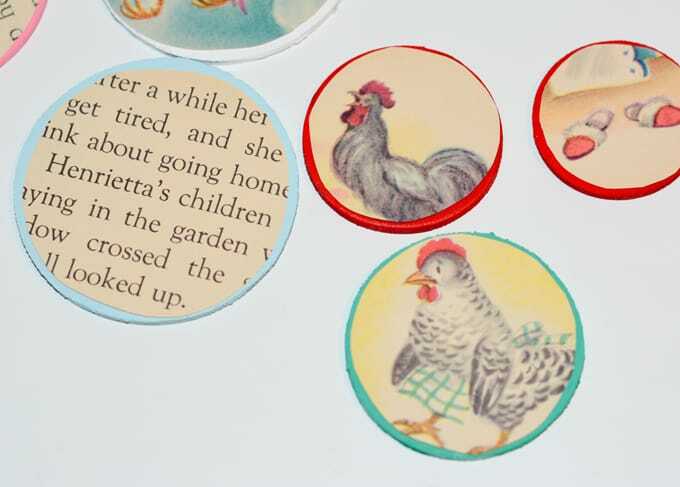 I love vintage children's books especially for their amazing illustrations! One of my favorite illustrated books, “Mrs. 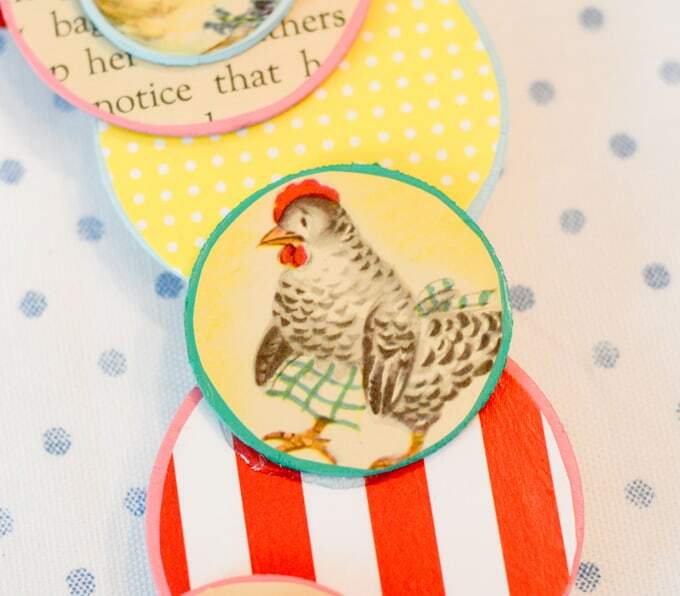 Hen Goes to Market,” was falling apart when I picked it up at the flea market. I thought the pages would be wonderful to use for some decoupaging projects. 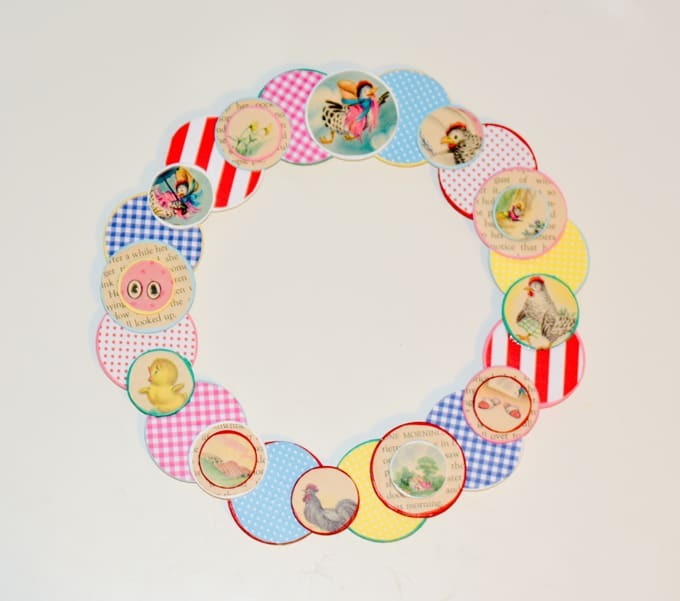 I decided to make a simple DIY book page wreath for my craft room door using some of the pages from my old book, wood circles, and an embroidery hoop. Decide how many wooden circles you need to go around your hoop nicely. 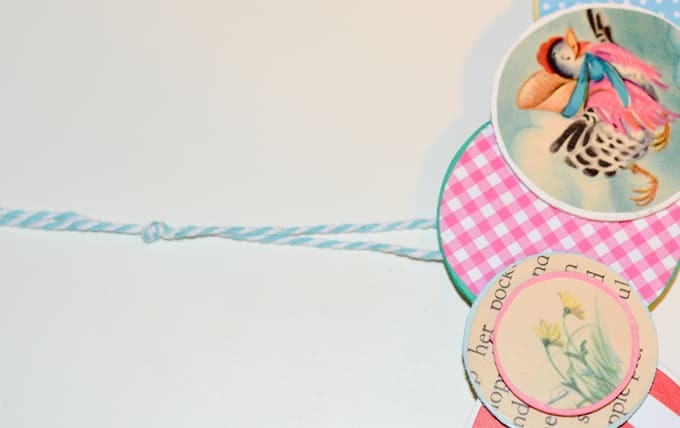 Then, paint all of your wooden circles and let dry thoroughly. Trace your circles onto your papers. My largest circles I traced onto patterned scrapbook paper. The other circles I traced and cut out of the book pages I had using some of the wording for the middle circles that had the smallest rounds on them. Cut out all of your circles. Cut each one out a little inside the line that you traced. 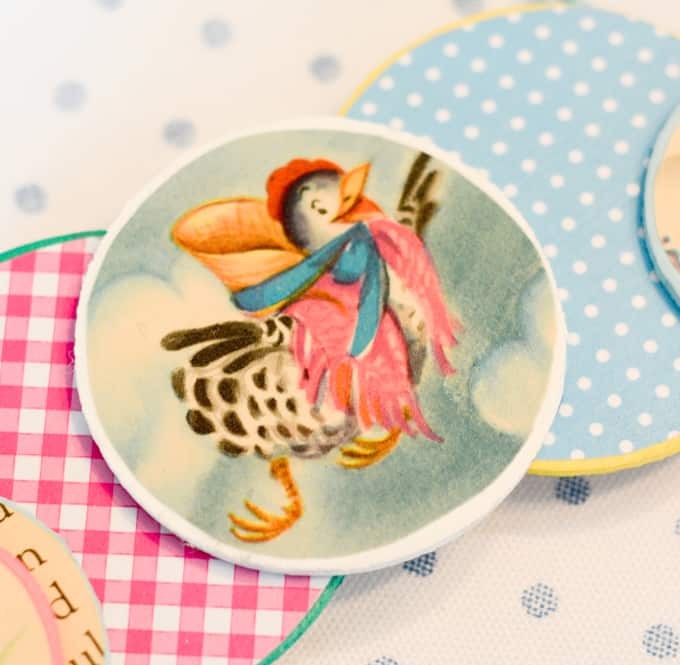 Pair each paper circle up with a painted wooden one. 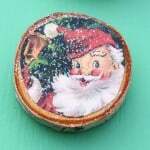 Now you are ready to decoupage. 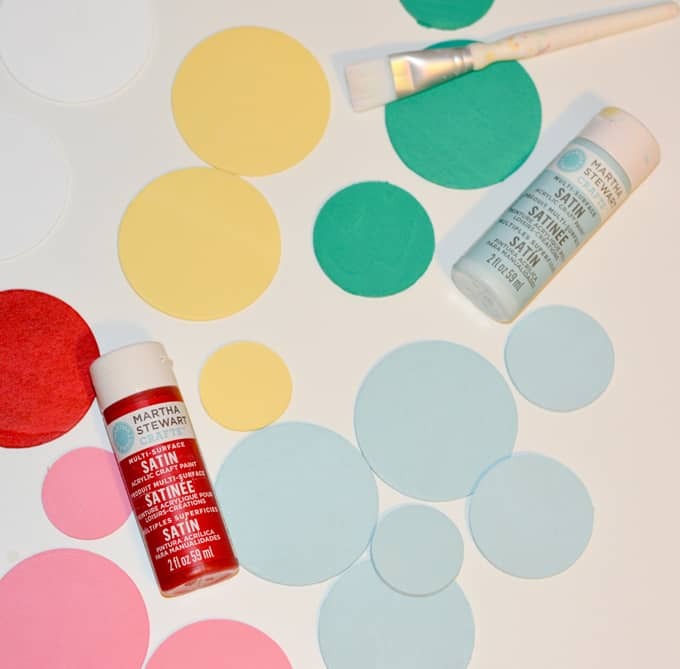 Paint a thin layer of Mod Podge Matte onto the back side of your paper circle and the front side of your painted wooden circle. 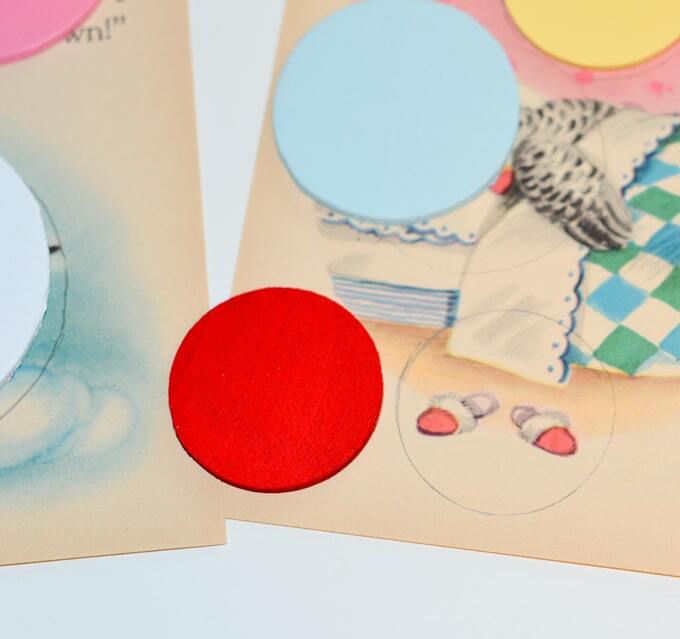 Lay the paper circle face up onto the painted one, smoothing out the paper on the wood as you go. Smooth it all out and wipe off any excess. Let the circles dry. 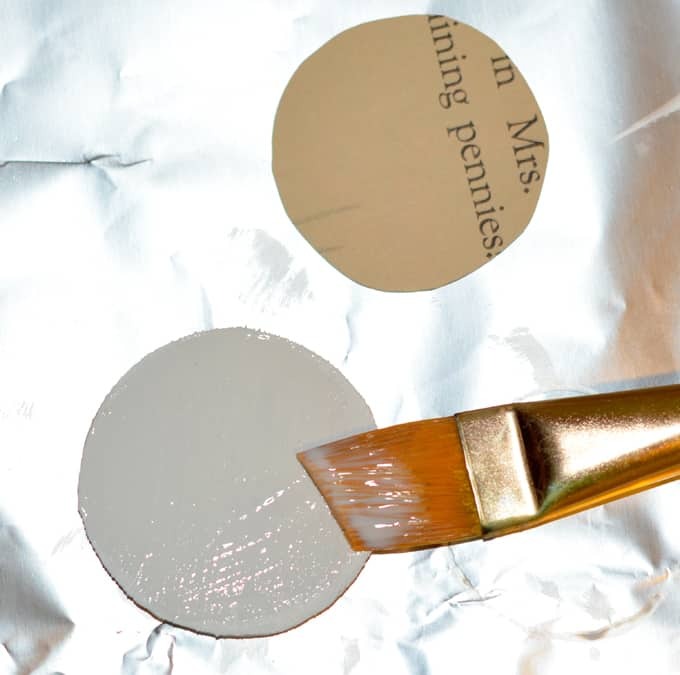 Next, paint a layer of the Mod Podge Matte on the top of each circle to seal the papers. Let them dry thoroughly. 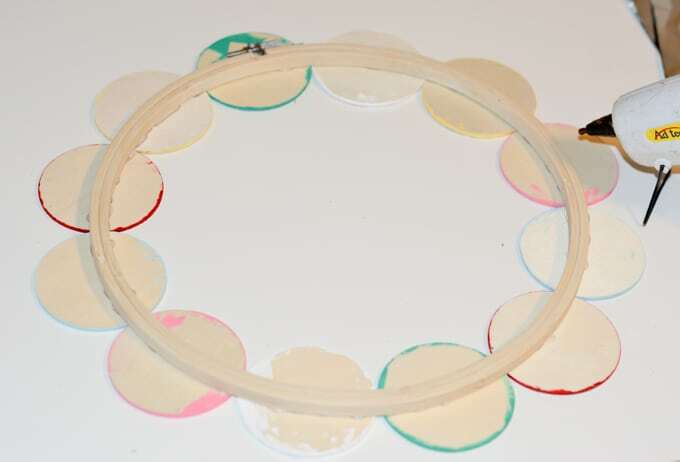 Lay out your largest circles out in the loop they will form onto the hoop. 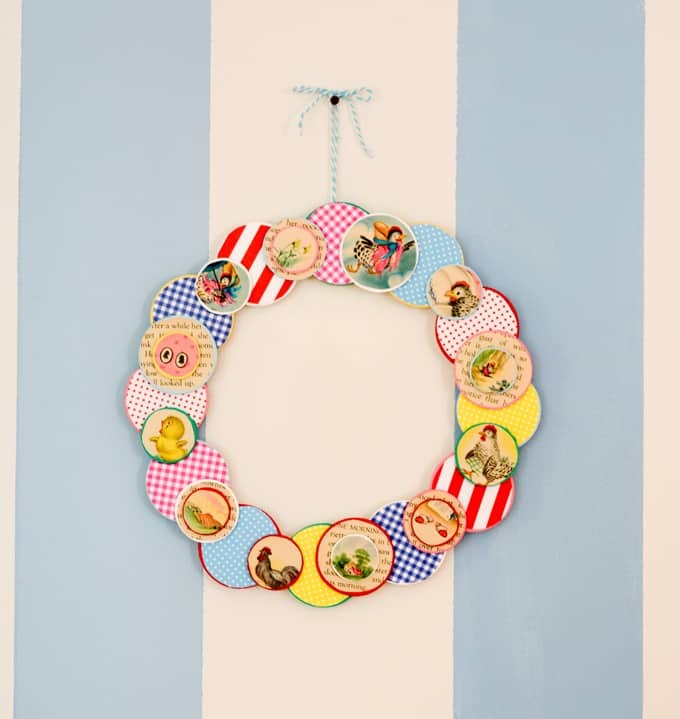 Apply a generous amount of glue onto the face of the wooden embroidery hoop and press onto the circle of your largest circles forming the base of your wreath. Make sure the top of the hoop is where you want the top circle of your wreath to be so it will hang the right way. Flip your wreath over once the glue is dry. 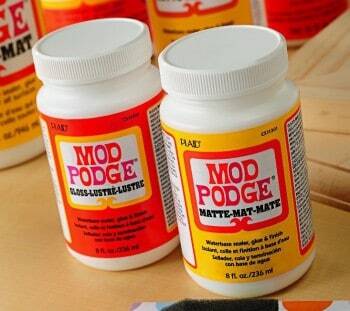 If you need to re-glue any loose pieces, go ahead and do so. Glue the medium circles down, where you like them. 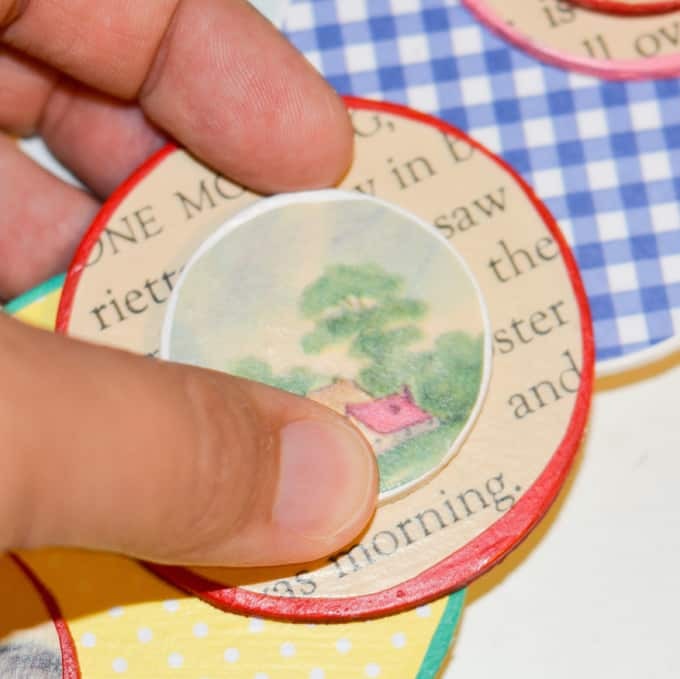 Then glue the small circles on, stacking some of them onto a medium piece to add more dimension. 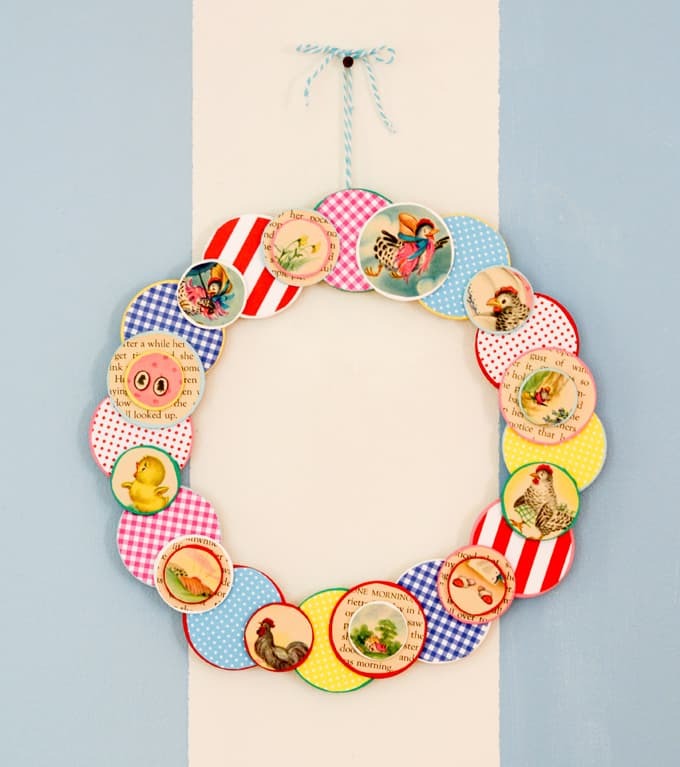 Once your circles are all glued down to your wreath, you need to add a little ribbon or twine for hanging. Cut a long length of twine and tie a knot around the metal top screw on your hoop. Hold the two strands together and about a few inches up make a knot, then tie the ends into a bow and trim the ends if you like. If you want you can add embellishments, or hang something to dangle in the middle such as a wooden letter for a monogram or an ornament. I love how my book page wreath turned out. I have decided to hang it on the door of my craft room, and I love seeing it every time I walk by! I think it would be wonderful to use family photos in lieu of book pages too for a special gift for just about anyone! 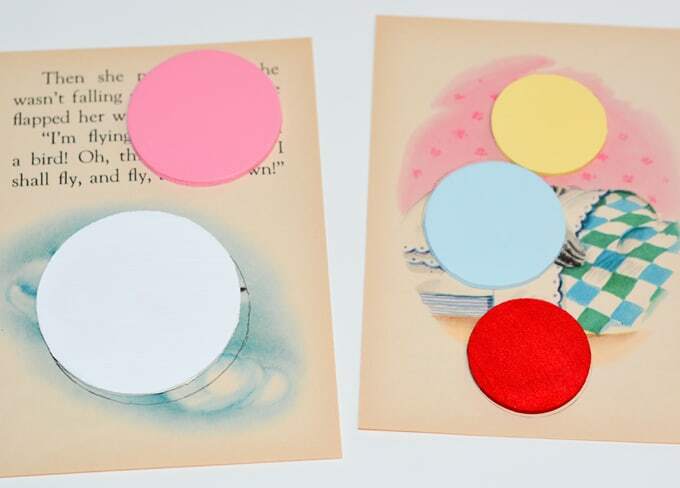 So instead of tossing or donating your kid's well-loved books, give them new life as a fun door ornament for their room. I hope you all will try this sometime. It's super fun! 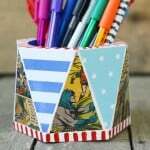 If you all would like to see more of my work you can find me on my blog, My So Called Crafty Life, here. I like this. I shared on my fb page.